The Green's function on the double cover of the grid and application to the uniform spanning tree trunk, by Richard Kenyon and David B. Wilson, 2017. arXiv:1708.05381. The six-vertex model and Schramm-Loewner evolution, by Richard Kenyon, Jason Miller, Scott Sheffield, and David B. Wilson. Physical Review E 95(5):052146, 2017. arXiv:1605.06471. Active spanning trees with bending energy on planar maps and SLE-decorated Liouville quantum gravity for κ >8, by Ewain Gwynne, Adrien Kassel, Jason Miller, and David B. Wilson. Communications in Mathematical Physics 358(3):1065–1115, 2018. arXiv:1603.09722. Active spanning trees and Schramm-Loewner evolution, by Adrien Kassel and David B. Wilson. Physical Review E 93(6):062121, 2016. arXiv:1512.09122. Bipolar orientations on planar maps and SLE12, by Richard Kenyon, Jason Miller, Scott Sheffield, and David B. Wilson, 2015. arXiv:1511.04068. Sandpiles and unicycles on random planar maps, by Xin Sun and David B. Wilson. Electronic Communications in Probability, 21(57):1–12, 2016. arXiv:1506.08881. Supercritical minimum mean-weight cycles, by Jian Ding, Nike Sun, and David B. Wilson, 2015. To appear in Transactions of the American Mathematical Society. arXiv:1504.00918. Finitary coloring, by Alexander E. Holroyd, Oded Schramm, and David B. Wilson, 2014. To appear in Annals of Probability. arXiv:1412.2725. The space of circular planar electrical networks, by Richard W. Kenyon and David B. Wilson. SIAM Journal on Discrete Mathematics 31(1):1--28, 2017. arXiv:1411.7425. Pfaffian formulas for spanning tree probabilities, by Greta Panova and David B. Wilson. Combinatorics, Probability & Computing 26(1):118--137, 2017. arXiv:1407.3748. A forward-backward single-source shortest paths algorithm, by David B. Wilson and Uri Zwick. SIAM Journal on Computing 44(3):698–739, 2015. arXiv:1405.7619. Extended abstract appeared in Proc. 54th Annual Symposium on Foundations of Computer Science (FOCS), pages 707–716, 2013. The looping rate and sandpile density of planar graphs, by Adrien Kassel and David B. Wilson. American Mathematical Monthly 123(1):19–39, 2016. arXiv:1402.4169. The conformal loop ensemble nesting field, by Jason Miller, Samuel S. Watson, and David B. Wilson. Probability Theory and Related Fields 163(3):769–801, 2015. arXiv:1401.0218. Extreme nesting in the conformal loop ensemble, by Jason Miller, Samuel S. Watson, and David B. Wilson. Annals of Probability 44(2):1013–1052, 2016. arXiv:1401.0217. On the asymptotics of dimers on tori, by Richard W. Kenyon, Nike Sun, and David B. Wilson. Probability Theory and Related Fields 166(3):971--1023, 2016. arXiv:1310.2603. The Hausdorff dimension of the CLE gasket, by Jason Miller, Nike Sun, and David B. Wilson. Annals of Probability, 42(4)1644–1665, 2014. arXiv:1206.0725. 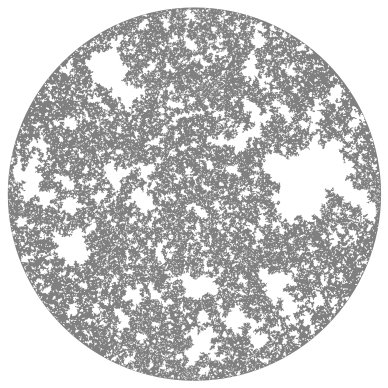 Dyck tilings, increasing trees, descents, and inversions, by Jang Soo Kim, Karola Mészáros, Greta Panova, and David B. Wilson, Journal of Combinatorial Theory A 122:9-27, 2014. arXiv:1205.6578. Extended abstract appeared in DMTCS Proceedings for the 24th International Conference on Formal Power Series and Algebraic Combinatorics (FPSAC 2012), pages 769–780, 2012. The min mean-weight cycle in a random network, by Claire Mathieu and David B. Wilson. Combinatorics, Probability & Computing 22(5):763–782, 2013. Avoidance coupling, by Omer Angel, Alexander E. Holroyd, James Martin, David B. Wilson, and Peter Winkler. Electronic Communications in Probability, 18(58):1–13, 2013. Spanning trees of graphs on surfaces and the intensity of loop-erased random walk on planar graphs, by Richard W. Kenyon and David B. Wilson. Journal of the American Mathematical Society, 28(4):985–1030, 2015. Data for LERW intensity on the square lattice, on the triangular lattice, and on the honeycomb lattice. The dimension of loop-erased random walk in 3D, by David B. Wilson. Physical Review E 82(6):062102, 2010. 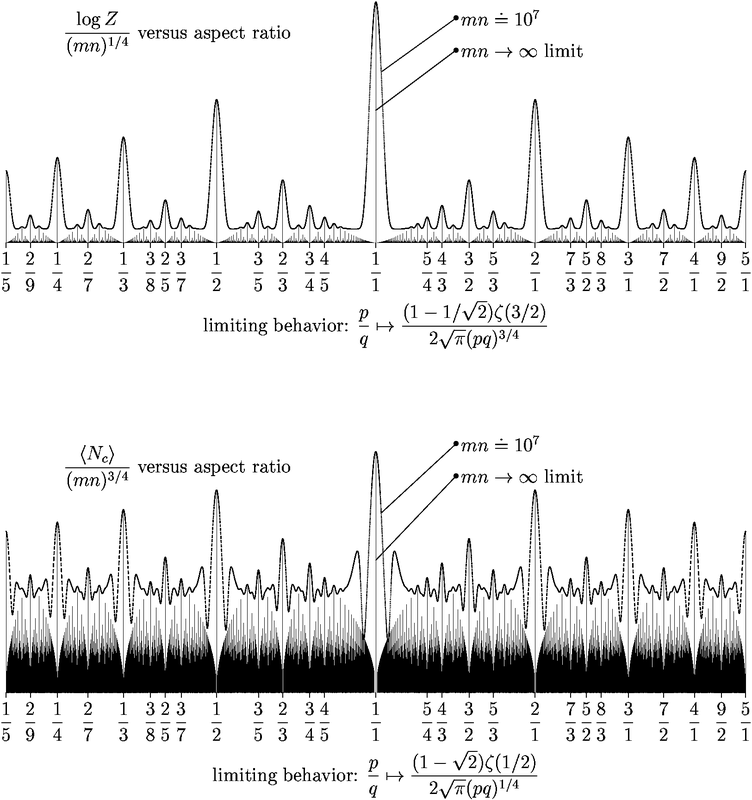 Double-dimer pairings and skew Young diagrams, by Richard W. Kenyon and David B. Wilson. Electronic Journal of Combinatorics 18(1) #P130, 2011. Schramm's proof of Watts' formula, by Scott Sheffield and David B. Wilson. Annals of Probability, 39(5):1844–1863, 2011. Driving sandpiles to criticality and beyond, by Anne Fey, Lionel Levine, and David B. Wilson. Physical Review Letters 104:145703, 2010. Event-chain Monte Carlo algorithms for hard-sphere systems, by Etienne P. Bernard, Werner Krauth and David B. Wilson. Physical Review E 80(5):056704, 2009. Combinatorics of tripartite boundary connections for trees and dimers, by Richard W. Kenyon and David B. Wilson. Electronic Journal of Combinatorics 16(1):R112, 2009. A sharp threshold for minimum bounded-depth and bounded-diameter spanning trees and Steiner trees in random networks, by Omer Angel, Abraham D. Flaxman, and David B. Wilson. Combinatorica 32(1):1–33, 2012. arXiv:0810.4908. Our results in this paper were "advertised" without our knowledge and without attribution in Physical Review Letters by our "fan club". Chip-firing and rotor-routing on directed graphs, by Alexander E. Holroyd, Lionel Levine, Karola Mészáros, Yuval Peres, James Propp, and David B. Wilson. In and Out of Equilibrium 2, eds. Vladas Sidoravicius and Maria Eulália Vares, “Progress in Probability” #60, pages 331–364, Birkhäuser (2008). Card shuffling and Diophantine approximation, by Omer Angel, Yuval Peres, and David B. Wilson. Annals of Applied Probability, 18(3):1215–1231, 2008. The electrical response matrix of a regular 2n-gon, by Nathaniel D. Blair-Stahn and David B. Wilson. Proceedings of the American Mathematical Society 137(6):2015–2025, 2009. Two-player Knock 'em Down, by James A. Fill and David B. Wilson. Electronic Journal of Probability, 13(9):198–212, 2008. Conformal radii for conformal loop ensembles, by Oded Schramm, Scott Sheffield, and David B. Wilson. Communications in Mathematical Physics 288(1):43–53, 2009. Boundary partitions in trees and dimers, by Richard W. Kenyon and David B. Wilson. Transactions of the American Mathematical Society 363(3):1325–1364, 2011. Tug-of-war and the infinity Laplacian, by Yuval Peres, Oded Schramm, Scott Sheffield, and David B. Wilson. Journal of the American Mathematical Society 22(1):167–210, 2009. Random-turn Hex and other selection games, by Yuval Peres, Oded Schramm, Scott Sheffield, and David B. Wilson. American Mathematical Monthly, 114:373–387, May 2007. SLE coordinate changes, by Oded Schramm, and David B. Wilson. New York Journal of Mathematics, 11:659–669, 2005. Balanced Boolean functions that can be evaluated so that every input bit is unlikely to be read, by Itai Benjamini, Oded Schramm, and David B. Wilson. In Proc. 37th ACM Symposium on Theory of Computing, pages 244–250, 2005. Excited Random Walk, by Itai Benjamini and David B. Wilson. Electronic Communications in Probability, 8(9):86–92, 2003. Mixing Time of the Rudvalis Shuffle, by David B. Wilson. Electronic Communications in Probability, 8(8):77–85, 2003. Winding angle variance of Fortuin-Kasteleyn contours, by Benjamin Wieland and David B. Wilson. Physical Review E 68(5):056101, 2003. On the Red-Green-Blue Model, by David B. Wilson. Physical Review E 69(3):037105, 2004. Critical resonance in the non-intersecting lattice path model, by Richard W. Kenyon and David B. Wilson. Probability Theory and Related Fields 130(3):289–318, 2004. Mixing times of lozenge tiling and card shuffling Markov chains, by David B. Wilson. The Annals of Applied Probability, 14(1):274–325, 2004. 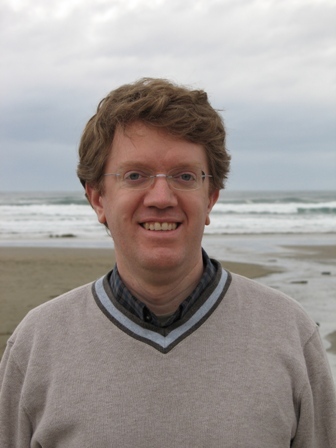 On the critical exponents of random k-SAT, by David B. Wilson. Random Structures and Algorithms, 21(2):182–195, 2002. The Scaling Window of the 2-SAT Transition, by Béla Bollobás, Christian Borgs, Jennifer T. Chayes, Jeong Han Kim, and David B. Wilson. Random Structures and Algorithms 18(3):201–256, 2001. Diagonal Sums of Boxed Plane Partitions, by David B. Wilson. Electronic Journal of Combinatorics 8(1):N1, 2001. Layered multishift coupling for use in perfect sampling algorithms (with a primer on CFTP), by David B. Wilson. Monte Carlo Methods, edited by Neil Madras, Fields Institute Communications #26, pages 143–179. American Mathematical Society, 2000. Trees and Matchings, by Richard W. Kenyon, James G. Propp, and David B. Wilson. Electronic Journal of Combinatorics, 7(1):R25, 2000. How to Couple from the Past Using a Read-Once Source of Randomness, by David B. Wilson. Random Structures and Algorithms 16(1):85–113, 2000. Scaling Limits for Minimal and Random Spanning Trees in Two Dimensions, by Michael Aizenman, Almut Burchard, Charles M. Newman, and David B. Wilson. Random Structures and Algorithms 15(3&4):319–367, 1999. Sampling Spin Configurations of an Ising System, by Dana Randall and David B. Wilson. Proc. Tenth Annual ACM-SIAM Symposium on Discrete Algorithms (SODA) pp. S959–960, 1999. Coupling from the past: a user's guide, by James G. Propp and David B. Wilson. In D. Aldous and J. Propp, editors, Microsurveys in Discrete Probability, volume 41 of DIMACS Series in Discrete Mathematics and Theoretical Computer Science, pages 181–192. American Mathematical Society, 1998. How to Get a Perfectly Random Sample From a Generic Markov Chain and Generate a Random Spanning Tree of a Directed Graph by James G. Propp and David B. Wilson. Journal of Algorithms 27:170–217, 1998. Earlier version appeared in Proc. Seventh Annual ACM-SIAM Symposium on Discrete Algorithms (SODA), pp. 448–457, 1996. Random Random Walks on Z2d, by David B. Wilson. Probability Theory and Related Fields, 108(4):441–457, 1997. Determinant Algorithms for Random Planar Structures, by David B. Wilson. Proceedings of the Eighth Annual ACM-SIAM Symposium on Discrete Algorithms (SODA) , pp. 258–267, 1997. Generating random spanning trees more quickly than the cover time, by David B. Wilson. Proc. 28th Annual ACM Symposium on the Theory of Computing (STOC), pp. 296–303, 1996. Beyond Islands: Runs in Clone-Probe Matrices, by David S. Greenberg, Cynthia A. Phillips, and David B. Wilson. Proceedings of the First Annual International Conference on Computational Molecular Biology (RECOMB), pp. 320–329, 1997. Learning Foraging Thresholds for Lizards, by Leslie Ann Goldberg, William E. Hart, and David B. Wilson. J. Theoretical Biology, 197(3):361–369, 1999. A preliminary version appeared in Proc. 9th Conference on Computational Learning Theory, pp. 2–9, 1996. Exact Sampling with Coupled Markov Chains and Applications to Statistical Mechanics, by James G. Propp and David B. Wilson. Random Structures and Algorithms, 9(1&2):223–252, 1996. On the Number of Graphs Which Lack Small Cycles, by Daniel J. Kleitman and David B. Wilson. To appear in Discrete Mathematics. Fast Exponentiation with Precomputation: Algorithms and Lower Bounds, by Ernest F. Brickell, Daniel M. Gordon, Kevin S. McCurley, and David B. Wilson. An extended abstract of this paper appeared in Advances in Cryptology — Eurocrypt '92, Lecture Notes in Computer Science #658, pp. 200–207, 1993. 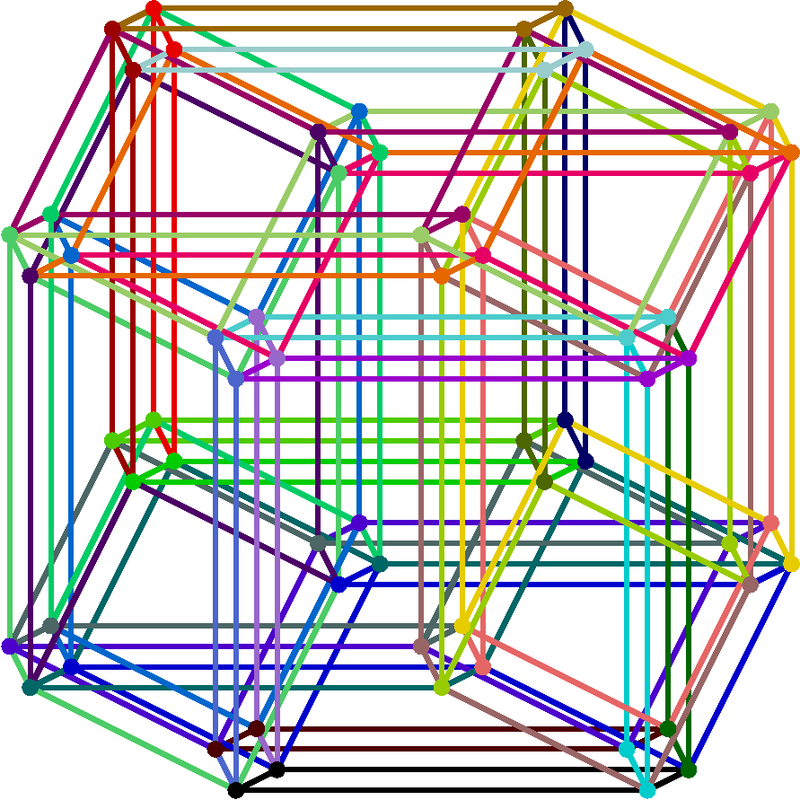 Embedding Leveled Hypercube Algorithms into Hypercubes, by David B. Wilson. Proc. 4th Annual ACM Symposium on Parallel Algorithms and Architectures (SPAA), pp. 264–270, 1992. A perfectly random lozenge tiling of a much larger hexagon makes the “arctic circle phenomenon” more evident. perfectly random 4-state Potts configurations at the critical temperature. See also the perfect simulation gallery. 3-cube node mape and edge maps for dimensions 0, 1, and 2.